We distribute an ever expanding lineup of craft beer with 23 local brands and 10 of the top nationwide brands in our portfolio. We provide more local craft brands than any other Orange County Craft beer distributor and pride ourselves on our superior service. Founded in 1948 by Arthur ‘Bud’ Straub, Straub Distributing now celebrates over 70 years of service and local ownership. 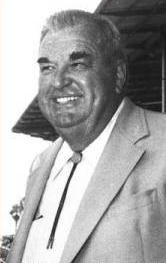 Bud held the company reins as Orange County and Straub Distributing grew side-by-side until his passing in 1981. In 1981 ownership passed to Bud’s four daughters and the business continued to grow as Straub dominated Orange County market share. In 1995, sales hit a staggering 12,260,000 case-equivalents.